New member Diane B. gave her Red Badge bio. She listed her many sports and hobbies, including being a triathlete. Her parents motivated her to be a volunteer and advocate as they were as well. Her brother was severely retarded and has passed. He is also a key motivator for her. She experienced a major life event when she crashed while cycling, requiring 3 months in a wheelchair and 1 year in a cast. She realized life is short and now lives to get the most out of it. Welcome to Diane! 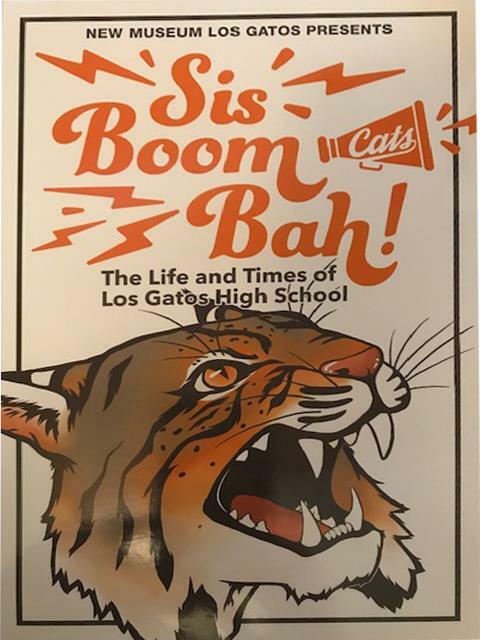 Ron C. announced Sis Boom Bah is the exhibit at Numu that showcases LG High School history. It will run at least thru June and he encouraged people with historical materials to submit them to the museum and to tour it. 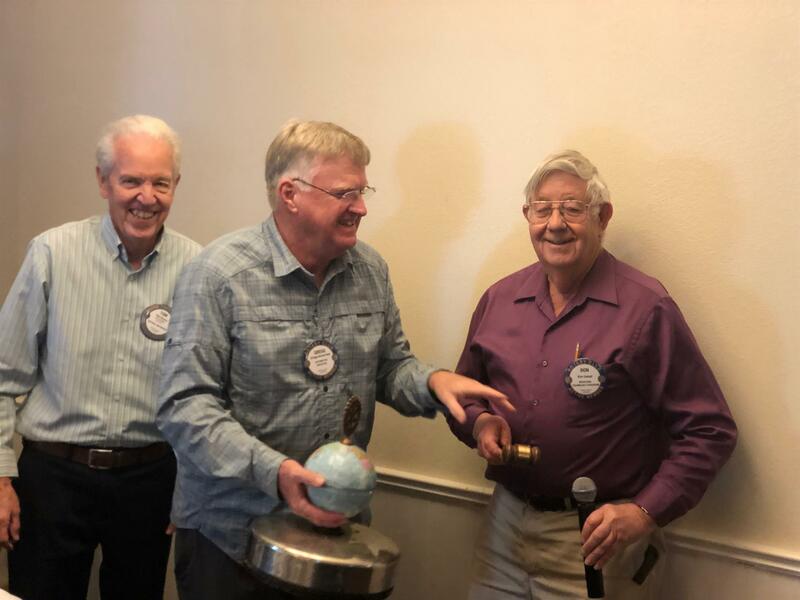 Tom B. celebrated his 57th Anniversary Sunday with his wife…and another Rotarian with the exact same Anniversary, Ron C. For this honor Tom pledged $57 to the club and pressured/encouraged Ron C. to do the same. Ron followed by doubling the challenge and Tom accepted. Lloyd G. then followed with a $25 pledge for each of their wives having to put up with “those 2 clowns”. Ha! Happy 57 anniversary to Ron and his wife and Tom and his wife. They married their wives on the same day. Thanks for donating to Rotary! Jon C. gave $100 to the scholarship fund for announcing a great ski trip to Vail. Judy R. explained her recent knee surgery was the reason for her absence, and she appreciated all the cards. The goal is self-sufficiency, so focus is on job and career development and English skills. Immigration and naturalization services are offered, with 80% becoming naturalized. 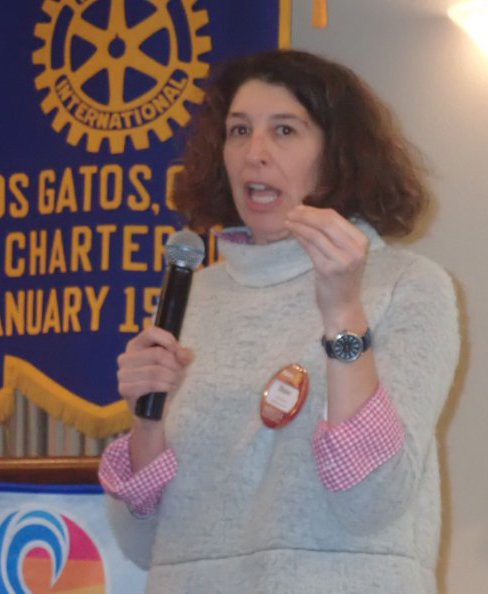 The speakers announced they would appreciate if Rotarians could introduce them to local official or schools, or grant foundations to help educate the community of their work. Click here to see volunteer opportunities in the area! Next week’s meeting will be the annual high school speech contest.